At the Secret spot lodge we fully understand that every guest has different needs and requirements when it comes to surf. For this reason we offer lessons for every level. We listen to you before we start to find out where you are at, and exactly what you hope to achieve. 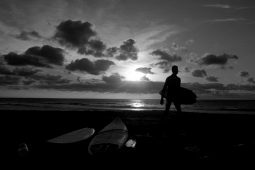 Troy will help you improve your technique and explain the ‘rules of the road’ in the surf world as we go. Total beginers : Taken from an intro to board through to popping up and riding a clean wave. Improvers : Yes dont waste your time starting again ! We will pick up where you left off last time and build on the skills you have already. 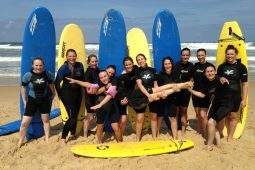 You can take advantage of our “Surf and Stay ” packages and give your surfing skills a real push, or if you have more of a chilled approach to your holiday you can book up as many lessons as you like during your stay. At the Secret spot , you will receive the absolute best surf instruction in the area. 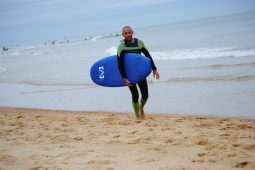 Troy , our in-house ISA level 1 qualified surf life saver and instructor has over 40 years of surfing experience. He has surfed all over the planet, this very spot being one of his first and favorite foreign surf trips over 30 years ago. We put emphasis on professionalism and safety for our guests. Troy being a fully trained first aider and surf rescue lifeguard. He carries a safety ruck sack with mobile phone, first aide kit, flippers and venue analysis reports. He also liaises with local lifeguards. 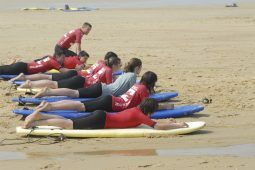 You will experience surfing some of the best surf spots in France during your lessons. 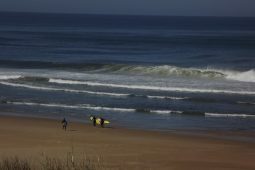 When you feel more confident after a few lessons , you can venture South and experience surfing Basque country waves. They break on reef as well as sand. If the idea of surfing reefs appeals to you after a few lessons, but you are not sure where to go, then speak to Troy. 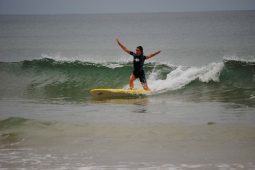 Book up a half day or a full day of guided surfing . You will end up surfing the best waves that can be found for the current conditions. Give us a call and we will book you some lessons. 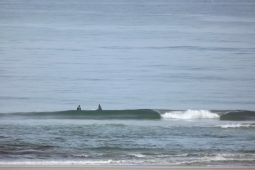 Take advantage of our daily surf report to have an eyeball look at what kind of waves you will be surfing.